(Jakarta, May 23rd 2014) - Following the success Indonesia’s first Alana in Surabaya, Archipelago International is now gearing up to open three more Alana properties in Yogyakarta, Solo and Sentul, Bogor. Meaning “fair, beautiful or offering” in Hawaiian, the boutique Alana Hotels are designed in a way that is both sophisticated and inviting for travelers who appreciate style, high-end amenities and personalized service. The Alana Hotels set themselves apart by presenting an extra dimension of escapism, namely the chance to experience a lifestyle that is glamorous, fashionable and draped in exclusivity. 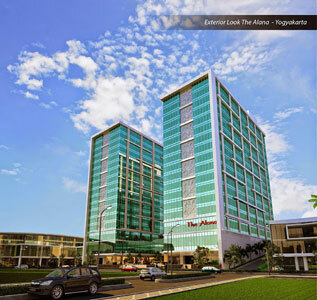 Yogyakarta will welcome the opening of The Alana Hotel & Residence in September. Featuring 269 rooms and suites, the hotel is stylishly designed in the signature Alana Hotel way. It will feature 7 meeting rooms, a coffee shop, a lounge, an outdoor swimming pool, a spa and a gym, as well as a grand ballroom capable of accommodating up to 1600 persons. The hotel is located in the heart of Mataram City, Yogyakarta’s most up and coming area consisting of top notch Convention Centers and expansive lifestyle malls. It will also be close to Adi Sucipto, Borobudur, Malioboro and the city center. Set to open its doors in Solo in mid 2015, the upcoming The Alana Adi Sucipto - Solo hotel will feature 248 rooms and suites. The hotel will also hold a number of convenient facilities, like 5 meeting rooms, a coffee shop, a swimming pool & kid’s pool as well as a gym, spa and a ballroom fit for up to 800 guests. The hotel is conveniently located on Jalan Adi Sucipto, just 10 minutes from the Adi Sumarmo International airport, 15 minutes to the city center and within close proximity to Solo Grand Mall, Park Super Block Mall and major tourist destinations like the famous traditional food market. The Alana brand will also be hitting Sentul with the opening of The Alana Ah Poong Sentul. The hotel will feature 271 rooms and suites, 8 meeting rooms, a coffee shop, a swimming pool, gym and spa as well as a mini ballroom for 500 persons. The hotel will be located in Sentul City, conveniently located just 20 minutes from the center of Bogor, as well as enjoying an address close to Sentul’s Jungle Land Adventurer Theme Park, the Sentul Highlands Golf Club and Pasar Ah Poong, the famous floating food court. 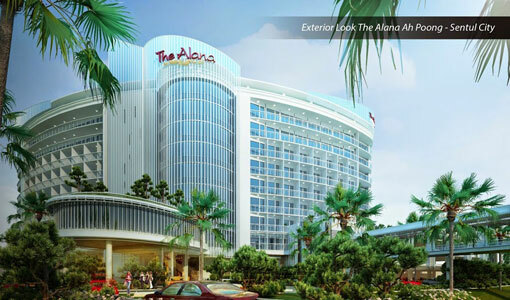 “Alana has become a real success story following the first Alana hotel in Surabaya. With this success, we are continuing to move forward and we are very confident with the opening of these three new locations. We are so confident about the future of tourism and conference demand in Yogyakarta, Solo and Sentul, that we are adding more of our brands to these burgeoning cities. Harper Mangkubumi will open in Yogyakarta later this year, while Sentul City will see the opening of both the Aston Sentul Lake Resort & Convention Center as well as Quest Hotel Sentul.” Said Norbert Vas, Archipelago International's VP Sales & Marketing.